Last year, we saw first-round pick Joey Bosa hold out of training camp and refuse to sign his rookie contract. ESPN.com’s Dan Graziano believes we could several 2017 picks following this same path. There are still four first-round picks who haven’t signed their contracts, including 49ers defensive end Solomon Thomas, Titans wideout Corey Davis, Raiders cornerback Gareon Conley, and Browns safety Jabrill Peppers. Graziano attributes the hold outs to “contract language.” Specifically, the writer notes that several front offices pursue some type of offset language, which would prevent players from double dipping in the event that they’re cut. On the flip side, agents are seeking annual salaries that mostly consist of a roster bonus, protecting their clients in the event of a suspension or fine. Over the past two days, we’ve sign two first-round picks finally sign their rookie contracts, with both Jets safety Jamal Adams and Chiefs quarterback Patrick Mahomes inking their deals on Thursday. Following a mysterious absence from camp on Friday, Cowboys defensive end David Irving has returned to the team, reports NFL.com’s Ian Rapoport (via Twitter). The player is subject to a $40K fine for the no-show, and Irving is already set to miss the first four games of the upcoming season due to suspension. The 23-year-old appeared in 15 games last season, compiling 17 tackles and four sacks. A Nashville Uber driver has filed a lawsuit against free agent offensive lineman Michael Oher, according to Mike Reader of the Charlotte Observer. The lawsuit said that Oher “acted maliciously, intentionally, willfully, wantonly, recklessly and/or negligently,” with the driver claiming that the lineman pushed him, kicked him, and called him a homophobic slur. The former first-rounder was released by the Panthers earlier this week with a failed physical designation. In case you missed it, veteran wideout Anquan Boldin is set to work out for the Bills next week. 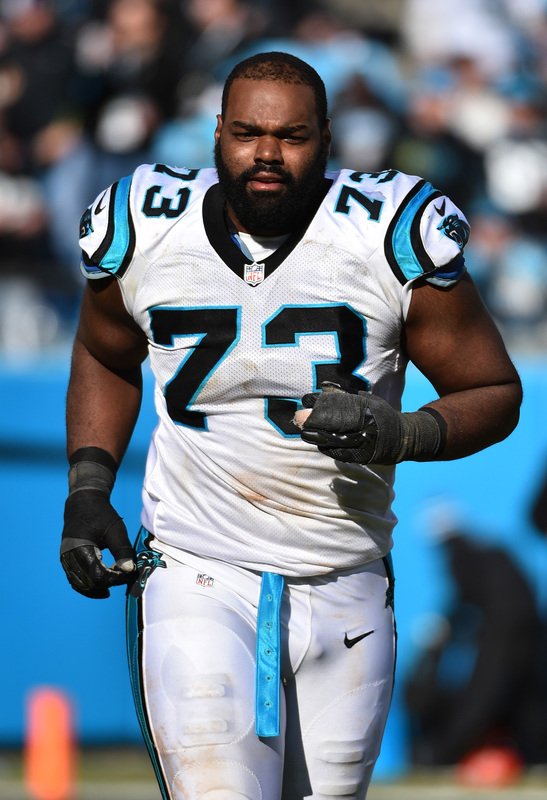 Michael Oher has been released by the Panthers with a failed physical designation, the team announced. The move has been anticipated for some time. The reason for Oher’s failed physical has not been released, but odds are that Oher was cut due to complications stemming from the brain trauma he has suffered as of late. When considering Oher’s concussion history and erratic off-the-field behavior, it’s clear that Oher has bigger fish to fry before he worries about resurrecting his football career. It’s worth noting that Oher has been in the league’s concussion protocol since September, and no player has ever been in protocol this long and managed to return to live action. By cutting Oher, the Panthers will save $1.69MM against the cap. Meanwhile, Oher will qualify for injury compensation. In 2015, Oher appeared in all 16 regular season games for the Panthers graded out as a top-30 offensive tackle, according to Pro Football Focus. The Panthers rewarded him with a three-year, $21.6MM extension, but that deal has not worked out for Carolina. He was sidelines after three games in 2016 and formally placed on IR around Thanksgiving. The Packers have not discussed a contract extension for Aaron Rodgers with his agent, David Dunn, the quarterback told a Milwaukee TV station last week (via Rob Demovsky of ESPN.com). Given that Rodgers still has three years left on the deal he signed in 2013, the Packers don’t have to work anything out imminently. However, on the possibility of Rodgers becoming the NFL’s highest-paid player again in the near future, team president Mark Murphy admitted to Demovsky, “You need to plan for it.” Unsurprisingly, Murphy added that the franchise regards re-upping the two-time league MVP as a priority. Rodgers topped all NFLers when he signed his five-year, $110MM deal four years ago, but salaries around him have increased significantly. As a result, the 33-year-old is set to rake in just the sixth-highest amount at his own position this season ($22MM). Prior to his firing on Monday, Panthers general manager Dave Gettleman wasn’t in a rush to sign linebacker Thomas Davis or tight end Greg Olsen to contract extensions, as Joseph Person of the Charlotte Observer writes. With Gettleman now out of the picture, Davis and Olsen could cash in over the next couple weeks, suggests Person, who relays that those two are owner Jerry Richardson’s favorite players. Given that Richardson’s running the show for the GM-less Panthers at the moment, he’s free to lock up the pair of veteran cornerstones. In addition to the incident that transpired over the weekend, Cowboys running back Ezekiel Elliott is also facing a misdemeanor charge for speeding. He is appealing that conviction, as Todd Archer of ESPN.com writes. The running back is accused of going 100 mph in a 70 mph zone back in April. Tight end, cornerback and running back stand out as positions the Cardinals could address this summer, observes Kent Somers of the Arizona Republic. Aside from starter Jermaine Gresham, the Cardinals lack established options at tight end, where Troy Niklas and Ifeanyi Momah have dealt with injuries and Hakeem Valles is coming off a rookie season spent mostly on special teams. The Cards may bolster their depth at corner, but they won’t make any Darrelle Revis-esque splashes in free agency, according to Somers. At running back, head coach Bruce Arians is seemingly content with Kerwynn Williams backing up superstar David Johnson, though there could be room for free agent Chris Johnson‘s return if Andre Ellington and the Cards’ young reserves don’t show well in the coming weeks, per Somers. Michael Oher‘s future with the Panthers is up in the air. What we do know, however, is that he will be in camp with the team when it’s time to report at the end of July, ESPN.com’s David Newton hears. Panthers training camp gets underway on July 25 and Oher will be there, despite previous uncertainty from coach Ron Rivera. Oher was displaced from the starting left tackle spot when Matt Kalil was inked to a five-year, $55.5MM deal this offseason. The hope was that Oher could take over on the right side, but the Panthers could instead opt to cut ties with him, given all of his issues. Oher entered into the NFL’s concussion protocol last September and, at last check, he has yet to be cleared. The tackle is also dealing with and personal issues and fallout from the alleged assault of an Uber driver in the spring. No player in NFL history has ever spent this much time in concussion protocol and returned to the field. Soon, we should have some clarity on whether Oher will be the first. Devonta Freeman is staying patient with regards to his contract talks with the Falcons, as ESPN.com’s Vaughn McClure writes. Freeman has already made a major mark on the franchise after becoming the first Falcons running back since Michael Turner (2010-11) to post back-to-back 1,000-yard rushing seasons. The Falcons obviously want to keep him in the fold beyond the final year of his rookie contract, but it may take some time for the two sides to come to terms. Freeman’s agent famously said that he wants him to be paid like an “elite” running back, but Atlanta would like to avoid going into Le’Veon Bell/LeSean McCoy territory with a new deal. When asked about tackle Michael Oher, Panthers coach Ron Rivera said he’s preparing for camp with the 90 guys who will be on the roster, adding that the front office is “taking care of it,” (Twitter link via Joseph Person of the Charlotte Observer). Reading between the lines, it sounds like Rivera is not banking on having Oher with the team in 2017. 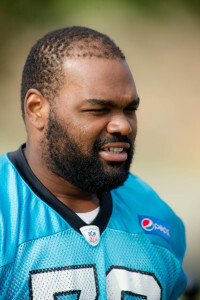 Oher reported to Carolina’s minicamp this week, but he did not practice on the field with the rest of the team. As Charles Robinson of Yahoo Sports (on Twitter) notes, nobody has ever been in the concussion protocol as long as Oher and returned to play in the NFL. Wide receiver Willie Snead remains optimistic and hopeful that he’ll sign a long-term deal with the Saints before the season starts, Joel Erickson of The Advocate writes. “I think the guys upstairs are working on it,” Snead said. “I’m hopeful, and I just have to keep worrying about myself and staying healthy and doing all the right things. I know it’s going to be a handled, it’s going to take time, but I feel like we’ll get it done sooner or later.” Snead was retained for this year via the $615K exclusive rights free agent tender. The Panthers named Bryan Porter as the team’s new director of football operations. Porter has been with the team since 2001 and has gradually moved his way up the ladder. The Saints intend to sign linebacker/defensive end Royce LaFrance before the start of training camp, Nick Underhill of The Advocate hears (on Twitter). As Panthers’ mandatory minicamp gets underway, Michael Oher has reported to the team, as Jonathan Jones of Sports Illustrated tweets. However, the offensive tackle is not out on the field practicing. There has been a great deal of speculation about Oher’s future in Carolina and his future in football in general. Oher hasn’t been near the team this offseason for a litany of reasons, including potential brain trauma, an alleged assault of an Uber driver, and “personal reasons.” The tackle met with GM Dave Gettleman in early May, but Gettleman hasn’t offered much in the way of details since then. Oher is under contract with the Panthers through 2019 after signing a three-year, $21.6MM extension with the Panthers last summer. Right now the odds of Oher being in uniform for 2017 seem slim, but the Panthers also aren’t banking on him. Left tackle Matt Kalil, signed to a five-year, $55.5MM deal in March, is slated to start. Panthers offensive tackle Michael Oher still hasn’t passed the NFL’s concussion protocol since suffering a brain injury that ended his season last September. Further concern over Oher’s status arose Friday when he posted a since-deleted picture on Instagram that showed 10 pill bottles with the caption, “All for the brain smh” (via Mike Chiari of Bleacher Report). Oher has been away from the Panthers this offseason, thanks to a combination of concussion issues, a May 4 citation in his hometown of Nashville for an alleged assault of an Uber driver and “personal reasons,” but he has met with Gettleman. The GM informed Voth that he flew to Nashville on May 5 and sat down with the 31-year-old. With talks between Oher and the Panthers having ceased, Joe Person of the Charlotte Observer tweets that the lineman is likely done in Carolina. For now, Oher’s under contract through 2019 after signing a three-year, $21.6MM extension with the Panthers last summer. Carolina has a mandatory minicamp next week, but it’s unknown whether Oher will attend. The Panthers were without Michael Oher for the bulk of 2016 after a brain injury kept him off the field. Now, the Panthers aren’t quite sure when they’ll get Oher back in the fold, and it’s not entirely related to his concussion issues. Oher skipped the first five weeks of the Panthers’ voluntary OTAs and has given no indication that he plans to check in until the team’s mandatory minicamp next month, Joseph Person of the Charlotte Observer writes. Oher still has yet to be cleared from concussion protocol, but his absence is not solely because of the brain injury, nor is it strictly because of the fallout of his alleged fight with an Uber driver this spring. The tackle is dealing with other personal matters that are sidetracking him from football, Person hears. A player’s absence from voluntary workouts is not newsworthy in and of itself, but given the multitude of issues Oher is facing, it’s fair to wonder if he’ll be ready to go for Carolina at all this season. After the Panthers signed left tackle Matt Kalil to a five-year, $55.5MM deal in March, Carolina isn’t necessarily banking on Oher in 2017. The Panthers are willing to give Oher time to work through his problems, Person hears, but they’re also worried about the extra weight he has gained this offseason. The Panthers are tied to Oher for three more seasons. In 2017, Oher is slated to carry a cap number of $5.5MM, but the Panthers can lop off $2.5MM from that sum by releasing him. Browns wide receiver Josh Gordon is currently without an agent, tweets Jason Cole of Bleacher Report, who adds Gordon has utilized three different agents in three years. Gordon, 26, is in limbo at the moment after applying for reinstatement in March. He’s yet to hear back from the league regarding his status, and Gordon’s fate with Cleveland is also in question. While reports have indicated the Browns may look to trade Gordon, executive VP of football operations Sashi Brown said the club is open to a Gordon return. The Bengals have agreed to pay first-round wide receiver John Ross his entire 2017 base salary even if he lands on the non-football injury list, tweets Ian Rapoport of NFL.com. Though Ross suffered injuries (including a torn labrum) while playing football, he wasn’t yet in the NFL when those issues cropped, so the NFI list is still a viable option. Clubs aren’t required to pay players on NFI, but will typically negotiate some sort of compensation if a unique situation arises, and that’s especially true if the player was injured upon arrival in the NFL. Cincinnati inked Ross to a four-year deal worth $17.116MM earlier this week. Given that Max Unger may miss the start of the 2017 campaign, the Saints could turn to reserve interior lineman Senio Kelemete to man the center position until Unger returns to full health. Taking over the starting job could be financially beneficial to Kelemete, as he can earn a $200K incentive if he plays 50% of New Orleans’ snaps next season, according to Nick Underhill of the Advocate (Twitter link). Kelemete, 26, can bring in another $200K for hitting the 60% and 70% snap mark, as well. In 2016, Kelemete played on 57.5% of the Saints’ offensive plays. Panthers offensive tackle Michael Oher turned himself in to Nashville police on Tuesday and will now appear in court on June 6, according to Joseph Person and Lavendrick Smith of the Charlotte Observer. Oher was cited for misdemeanor assault last week following an altercation with an Uber driver in which Oher allegedly knocked the driver to the ground. Carolina selected Western Michigan tackle Taylor Moton in the second round, so Oher — who is still dealing with concussion concerns on top of his legal issues — isn’t a lock to return as a starter, or even make the roster, in 2017. The Raiders were “impressed” by undrafted safety Marcus McWilson, and are expected to sign him to a contract following his tryout at the club’s rookie minicamp, per Michael Gehlken of the Las Vegas Review-Journal (Twitter link). McWilson, a Kentucky product, played in 13 games for the Wildcats in 2016, racking up 108 tackles (4.5 for loss) and one interception, which he returned for a touchdown. Oakland has already signed 17 UDFAs and two additional tryout players, but hasn’t yet announced the signing of McWilson. Panthers offensive tackle Michael Oher has been cited for misdemeanor assault after a Nashville Uber driver accused the veteran lineman of assault, according to a report from WSOCTV. Oher will appear for booking on May 8. The driver alleges that he and Oher engaged in a disagreement on April 14 as Oher was being driven to downtown Nashville. After the driver put his hand on Oher’s face — an action the driver admits — Oher reportedly knocked the driver to the ground. Oher, 30, had seemingly been dislodged from Carolina’s 2017 plans even before news of an alleged assault broke. 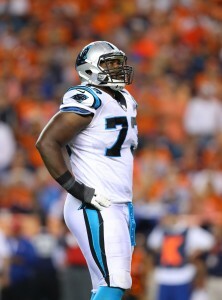 The Panthers signed free agent Matt Kalil to displace Oher at left tackle, and subsequently drafted offensive lineman Taylor Moton in the second round. Moton figures to compete with Oher and Daryl Williams for time at right tackle. Health questions could prevent Oher from even taking the field at any point in the near future, however, as Oher was still in the NFL’s concussion protocol as of early March. If the Panthers did decided to cut ties with Oher, they’d take on $3MM in dead money versus $2.5MM in cap savings. A post-June 1 release would create $4.5MM in cap space while only keeping $1MM in dead money on the cap.